When I got the opportunity to book cheap flights to Coron, I couldn't resist and just booked the flights and scoured the Internet for affordable accommodations. The thought of looking at the famous Kayangan Lake landscape made me excited already. 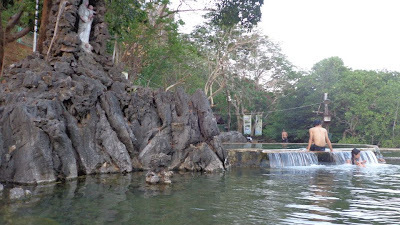 But before I got to Kayangan Lake, I made my way to Maquinit Hot Spring and Mt. Tapyas. My first day in Coron was reserved for wandering around town, looking for souvenirs, and hiking up Mt. Tapyas. Mt. Tapyas was an easy climbing compared to the other mountains I've trekked. The mountain had concrete stairs and plenty of benches to rest in. I took my time and basked in the panoramic view that the mountain offered. 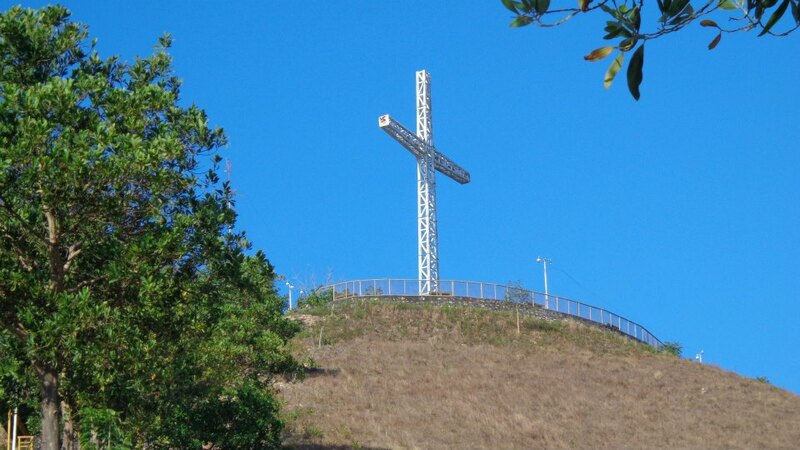 After just 25 minutes of leisurely hiking, I got to the top. The peak provided a sweeping view of Coron Town and the beautiful landscape of the surrounding islands. 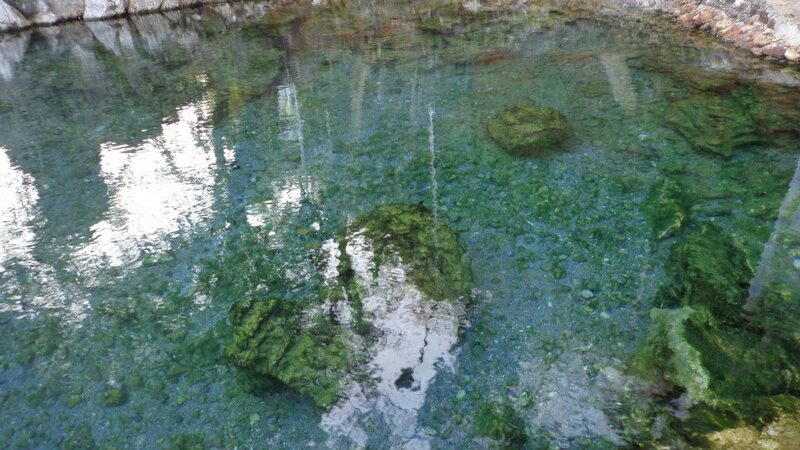 My next stop was the Maquinit Hot Spring. The Maquinit Hot Spring's water was soothing and relaxing. I stayed for a while to relax my body and feel the warmth piercing through my skin. The day ended on my first day in Coron as the sun set on Maquinit Hot Spring. It's easy to get to Mt. Tapyas and Maquinit Hot Spring. You can choose to walk to Mt. Tapyas since it's just around town or hire a trike to take you to the starting point. The trike to Maquinit Hot Spring has a fixed rate of P300 two-way (correct me if I'm wrong). There is also an entrance fee of P150 for Maquinit Hot Spring. 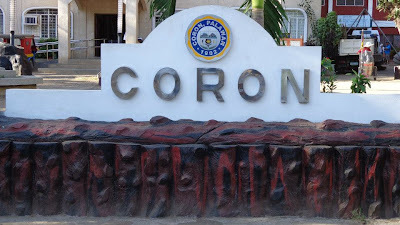 You can also book a Coron Town tour offered in various tour agencies around town for P500 to P700. there are some very nice sightscene out there. Mount Tapyas is really a great place to visit with the view especially in the morning. Maquinit Hot spring is also nice at night and also is good for the bones. We haven't visited to Coron but just like you, I'm just waiting for seat sales again. I'm sure my husband will enjoy Mt. Tapyas. Dahil, may sipon ako ngayon habang nagcocomment, here I am wanting to dip into a hot spring or perhaps a massage! Hope I can find time to go there someday too. Hidden Valley Laguna is the only hot spring I have experienced so far. Thanks to your blog, I now have the urge to go on a vacation. Will surely look for cheap flights going to Coron.